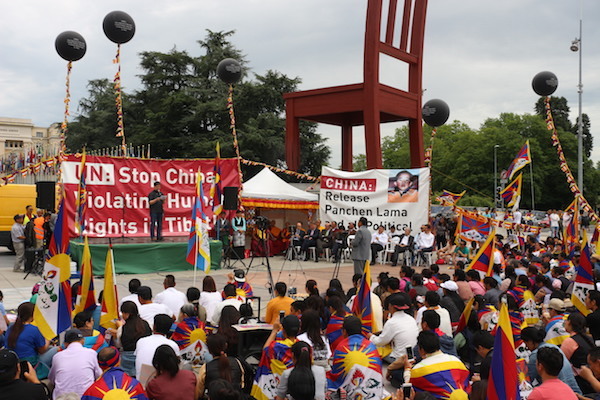 (TibetanReview.net, Jun13, 2017) – More than a thousand Tibetans and supporters held a rally in Geneva on Jun 9 as the 35th session of the UN Human Rights Council began in the Swiss city. 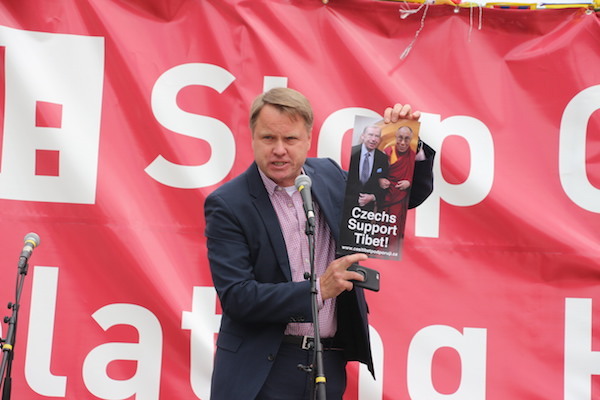 The rally was addressed by speakers from six European countries (namely, the Czech Republic, England, France, Germany, Italy and Switzerland), calling on the international community and the United Nations Human Rights Council to act on Tibet under Chinese occupation rule. The speakers referred to a host of issues of grave concern in their speeches. They included the recent, continuing incidents of protest self-immolations in Tibet, the continuing disappearance and absence of any information from China on the whereabouts of the real Panchen Lama, and some of the recent high profile individual cases. These demands were also written on placards carried during the rally which started at Palais Wilson and culminated in front of the Palais des Nations, the seat of the United Nations in Geneva. Those who addressed the rally included Mr Martin Bursik, former Deputy Prime Minister of the Czech Republic; Mr Norman Baker, former deputy home minister of the UK; Chinese journalist and dissident Mr Zhang Phing from Germany; Mr André Gattolin, member of the French Senate; Mr Rene Longet, former member of the Swiss parliament; Mr Yvan Rochat, Mayor of Vernier GE and member of the Green Party; Mr Stefano Dallari, President of Casa del Tibet, and Mr Jampa Tsering Samdho, Swiss-based member of the Tibetan parliament in exile. A joint memorandum was submitted to the United Nations High Commissioner for Human Rights, calling for an end to human rights violations in Tibet, the release of the Panchen Lama and all other political prisoners in Chinese ruled Tibet, and access to Tibet for the top UN human rights official. The rally was held in keeping with the Central Tibetan Administration at Dharamshala’s call to mark 2017 as Year of Campaign. It was jointly organized by the Tibetan Community in Switzerland & Liechtenstein, the Swiss Tibetan Friendship Association (GSTF) and the International Campaign for Tibet.